Are you looking for a FUN way to REVIEW content from throughout the year? Look no further than Hot Stew Review! Hot Stew Review is a new and fun PowerPoint review game that is all digital and keeps every team in the game until the last question. What is Hot Stew Review? Hot Stew Review is a cooperative review game played in teams. 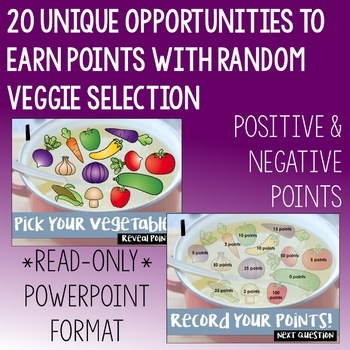 After each question, teams who answered correctly are able to choose a vegetable to reveal points with the goal of being the winning team by the end of all 20 questions. The inclusion of positive and negative points as well as options for teams to double their points, lose half their points, or lose all their points mean every team is in the game until the last possible moment keeping engagement high and students working hard! 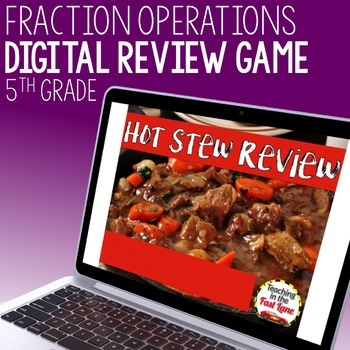 This ready to go digital review game means you are ready to download and play right away, taking the prep work out of review games while keeping rigor and engagement high! What Is Included In This Resource? What Standards is This Game Based On? 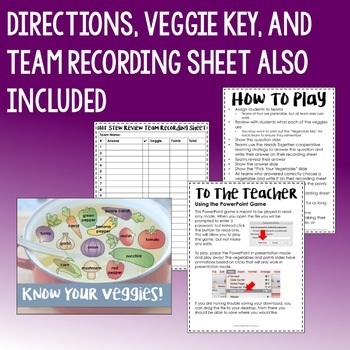 This resource is based on the TEKS. When applicable I have also included in the tags for the CCSS in the profile of the resource. ➡️Please check out the video preview to see how the game plays and the regular preview for examples of the first two questions from this topic edition. Why Should I Play Hot Stew Review? To engage your students in meaningful, cooperative review without hitting them with another worksheet! Please check out the video preview to see what the PowerPoint will look like. Each topic contains its own unique 20 questions and answers, but the format will be the same. 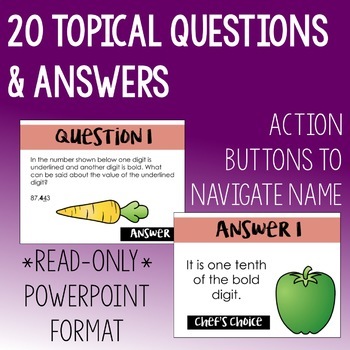 Looking for More PowerPoint Review Games?